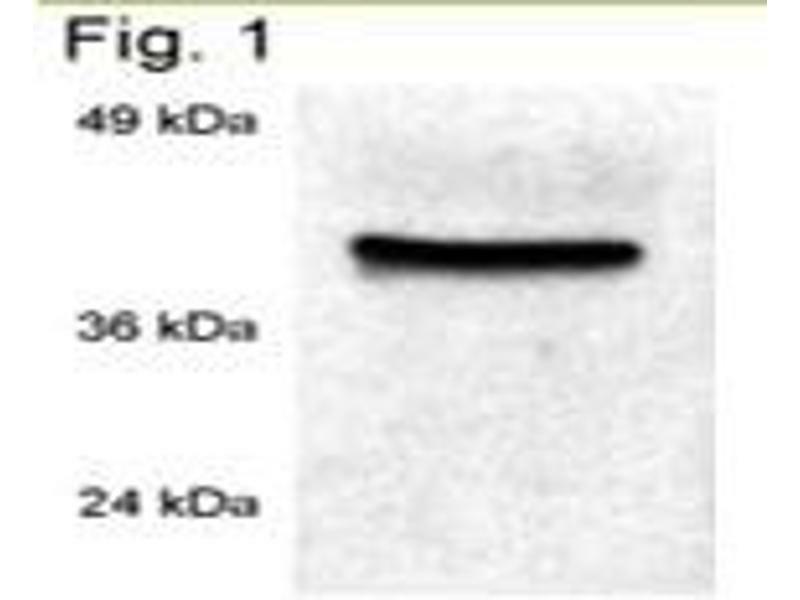 Figure 1 shows a Western blot of Cyp 40 on rat spleen extracts using ABIN267196. 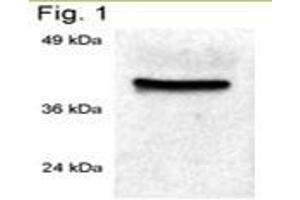 Western Blot: Cyclophilin 40 Antibody [ABIN267196] - Analysis of rat spleen extracts. 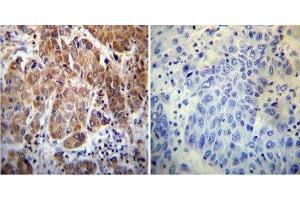 Immunohistochemistry-Paraffin: Cyclophilin 40 Antibody [ABIN267196] - Both normal and cancer biopsies of deparaffinized human Skeletal muscle tissue. 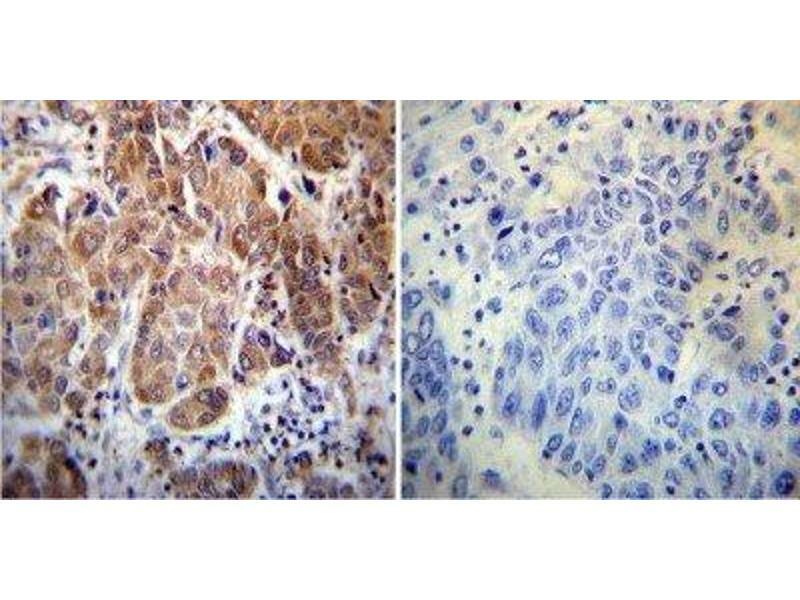 Immunohistochemistry-Paraffin: Cyclophilin 40 Antibody [ABIN267196] - Both normal and cancer biopsies of deparaffinized human Hepatocarcinoma tissue. 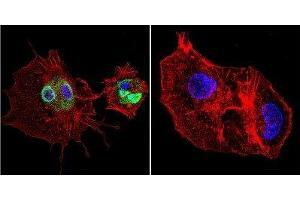 Immunocytochemistry/Immunofluorescence: Cyclophilin 40 Antibody [ABIN267196] - Analysis of Cyclophilin D in A431 Cells. Cells were grown on chamber slides and fixed with formaldehyde prior to staining. 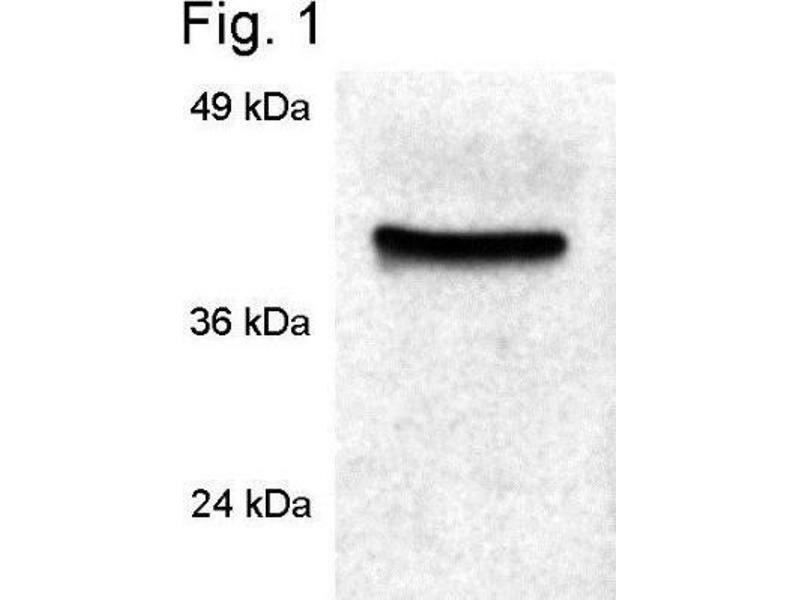 Cells were probed without (control) or with a Cyclophilin D polyclonal antibody at a dilution of 1:200 overnight at 4C, washed with PBS and incubated with a DyLight-488 conjugated secondary antibody. Cyclophilin D staining (green), F-Actin staining with Phalloidin (red) and nuclei with DAPI (blue) is shown. Immunocytochemistry/Immunofluorescence: Cyclophilin 40 Antibody [ABIN267196] - Analysis of Cyclophilin D in HepG2 Cells. Cells were grown on chamber slides and fixed with formaldehyde prior to staining. 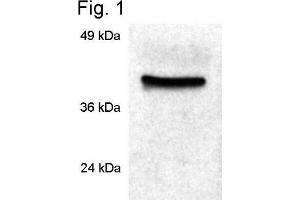 Cells were probed without (control) or with a Cyclophilin D polyclonal antibody at a dilution of 1:200 overnight at 4C, washed with PBS and incubated with a DyLight-488 conjugated secondary antibody. 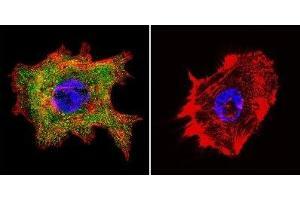 Cyclophilin D staining (green), F-Actin staining with Phalloidin (red) and nuclei with DAPI (blue) is shown. 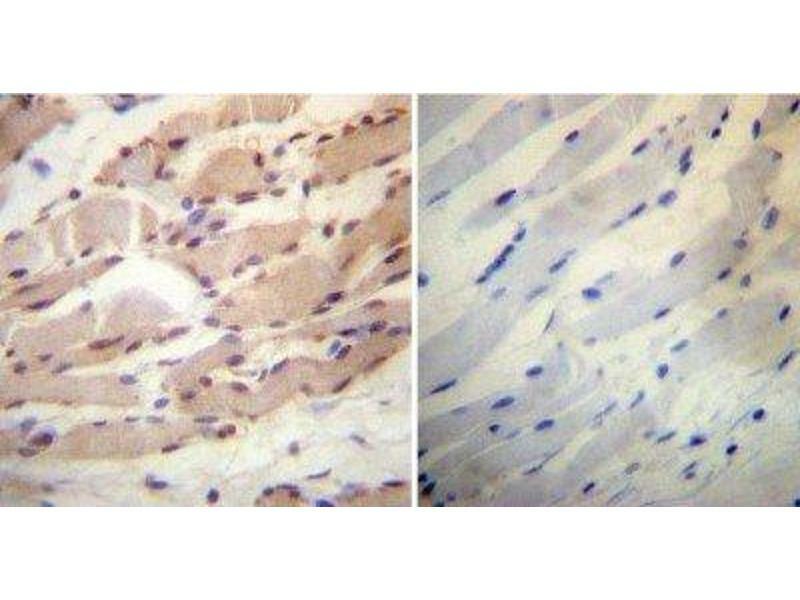 Specificity Detects cyclophilin 40 (CyP 40) from human and rat tissues and cells. This does not cross-react with CyPA. Immunogen Synthetic peptide corresponding to residues C A(356) Q K D K E K A V Y A K M F A(370) of human Cyp-40. Application Notes Western Blot 1:1000, Flow Cytometry 1:10 - 1:1000, Immunohistochemistry 1:100, Immunocytochemistry/Immunofluorescence 1:200, Immunoprecipitation 1:10 - 1:500, Immunohistochemistry-Frozen 1:100, Gel Super Shift Assays 1:1 - 1:100WB: Detects an approx. 40 kDa protein representing CyP 40 from rat brain extract.